This Métis village is situated at the end of a peninsula that stretches into Lac Ile-a-la-Crosse. The community is located 685 km from Saskatoon. Year-round road access is provided by highway 908 which connects to highway 155 situated 21 km northwest. Charter air service is available as is bus service to Prince Albert. The nearest Cameco facility is our Key Lake operation, more than 230 km northeast. Approximately 1,300 people live in Ile a la Crosse and most are Métis, descendants of French, Scottish, Scandinavian and Cree settlers. 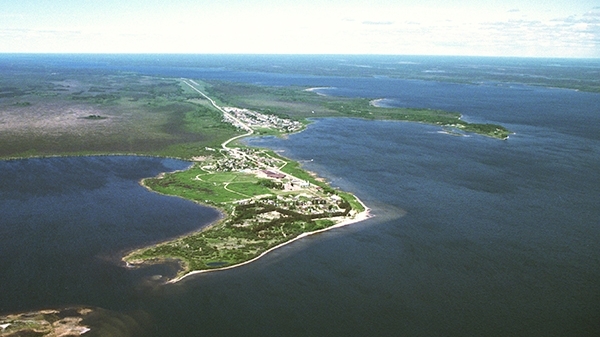 Ile-a-la-Crosse is the second oldest community in Saskatchewan. It has a rich history being connected to the Churchill River, Beaver River and Canoe River systems. Louis Riel’s grandparents were married in Ile a la Crosse and his sister, Sara Riel, worked the convent and is buried in the local cemetery. The Cree name for Ile-a-la-Crosse is Sakitawak which means “the place where the river flows out.” Because of its strategic location, it became the administrative centre of the English River District of the Hudson’s Bay Company and an important supply depot on the fur trade route during the latter part of the 18th century and most of the 19th century. In 1846, a Roman Catholic mission was established and in 1860, three Grey Nuns arrived founding a school and a hospital. Today, commercial fishing, forestry, wild rice harvesting and the hospital and schools, along with resource extraction industry, are the primary sources of employment. The Rossignol Elementary School serves about 200 preschool to Grade 6 students and the Rossignol High School provides Grades 7 to 12 and adult educational programming.